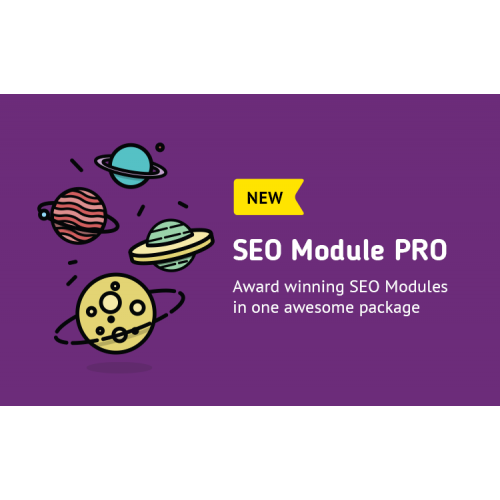 We have created the first Extensible SEO module, where you can plugin modules to add features. With this approach our Extension already has all the features of all available extensions on the market and more. With our state of the art SEO solution, you will not only get all the features on the market and more, you will also know how to use them properly to reach the best results. Implements the SEO Module API which allows other SEO Module to implement their features. Add multi-language urls, auto generate urls and customize them. Manage your SEO data with ease, export/import data from all SEO Modules. Get SEO advices directly in each page. Monitor your SEO Rating. Add meta management to your OpenCart. Auto generate metas and customize them.